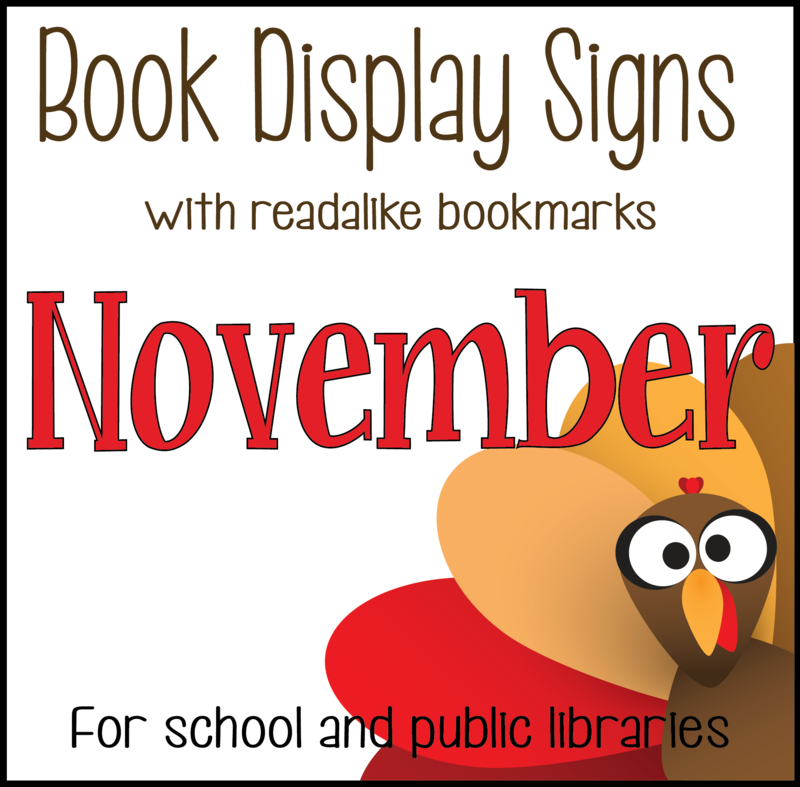 Last week, I released my first set of display signs with readalike bookmarks. I had almost 500 downloads of the set in only three days--wow!!! 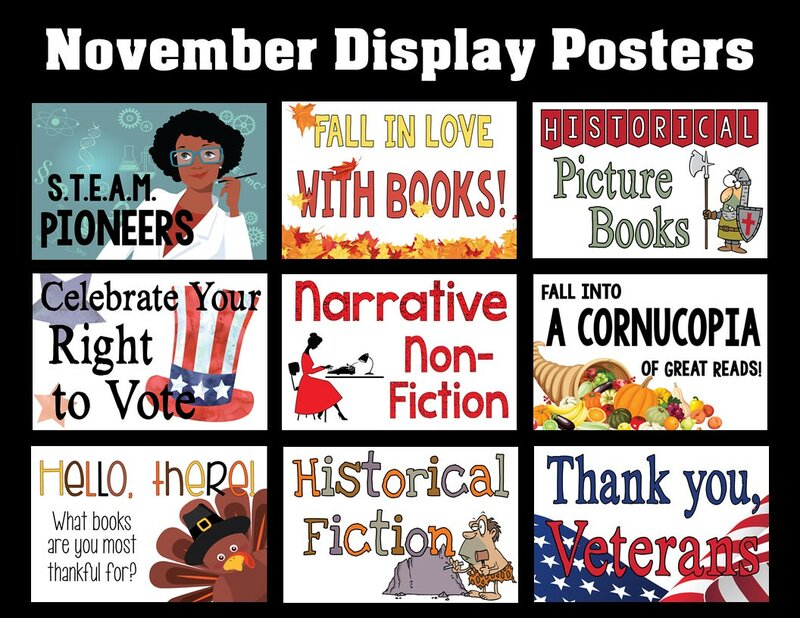 Because the display signs have been so successful, I created another set for November. These sets are intended to help librarians save time and keep their book displays fresh and fun. The October set had seven themes, and I have created seven themes for November. 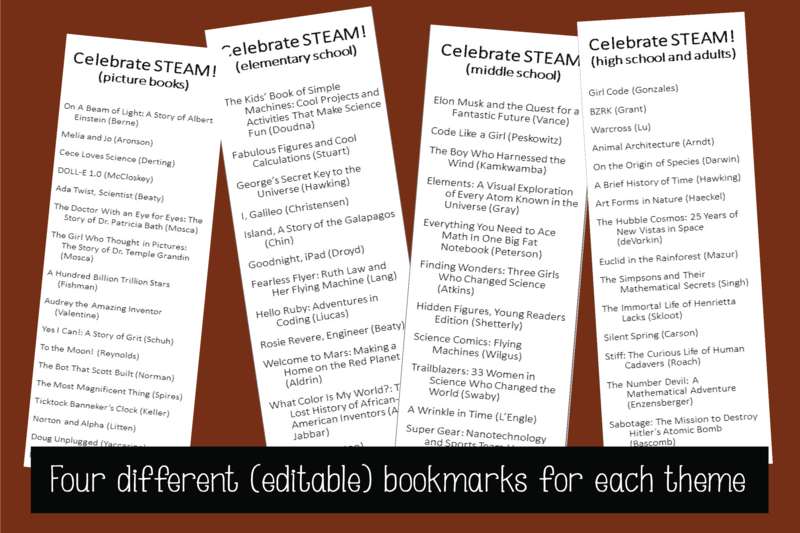 Each poster also includes four readalike bookmarks that you can edit to coordinate with your library collection. They are also helpful for collection development since I make sure all the books I recommend are currently in-print and available from Titlewave. There are many, many 2018 titles on the bookmarks! Thanks for another awesome month of easy display ideas!!! You rock.